Holmwood Property Management is linked with the five Holmwood sales offices spread across Christchurch, and is the award-winning dedicated property management team for the Holmwood Group. At Holmwood Property Management we manage an extensive portfolio of properties. We offer a hands-on management style to our Owners and Tenants, looking after our clients’ properties as if they were our own. We understand the market and we know how to achieve the best return on your property and would welcome the opportunity to meet you and offer a complimentary, no obligation appraisal of your property. Mandy Shaw is a true professional with almost 16 years real estate experience in sales, consistently a top performer in the Canterbury area, she strives to achieve top results for her clients. Mandy has a strong, personality with a fun bubbly nature. She has a sincere desire to bring her clients the best possible results, no matter what the market, through superb negotiating skills is reflected in the fact her extensive client base continually return to her! Mandy comes from a well-respected family who have maintained a building business & rental properties for the last 30 years. She lives, eats & breathes property - it’s all she knows! Being involved in property sales & property management is the ultimate for Mandy and it’s not at all a job to her - its her passion!!! She loves her job and is good at it, so if you're looking for a dedicated professional then look no further than Mandy! Melissa Peeke joins the Holmwood Property Management team with several years’ experience in the Property Management field. Looking after her clients’ investment properties and their tenants is an absolute passion of Melissa’s. With a strong customer service focus and multiple National awards in the Property Management field, it is no wonder Melissa’s clients rave about her service. Melissa is a motivated and compassionate person, often seen volunteering in the community and with a strong family focus, she’s a huge supporter at local events, particularly sport. Melissa is second to none when it comes to her knowledge of the Residential Tenancies Act and all that it entails. She thrives on challenges and problem solving, finding the best possible solution for her clients is part of the position she enjoys most. If it’s a detailed and award winning property manager you seek, then please contact Melissa today! 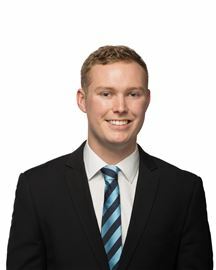 Tim joins the Holmwood Property Management team after gaining a Bachelor of Science degree in physical activity health and wellness. During his study in Dunedin Tim dealt with clients on a part time basis through degree opportunities, this invaluable experience meaning Tim can effortlessly implement his communication skills to assist with current and future clients in managing their investment properties and matching tenants to their new home. Currently studying towards his Real Estate License means Tim has a wealth of knowledge across the property industry, this depth of knowledge meaning he can apply these skills to every facet of managing your investment. Reliable, hardworking and enthusiastic with a real drive to achieve fantastic results for his clients, it’s no wonder Tim has been so successful with letting properties so swiftly and ensuring our clients’ returns are maximized. Contact Tim today for a chat about what he can do to help you achieve these fabulous results! Christine joins the team at Holmwood with over 9 years experience in Property Management. Christine has an in depth knowledge of the Residential Tenancies Act and is committed to providing excellent customer service to clients and tenants. Christine's positive attitude and willingness to go the extra mile, being mature and experienced, highly organised and with such attention to detail, means Christine's clients can only ever expect the very best service. Contact Christine today and see how the Holmwood Property Management Team can share this supreme service. 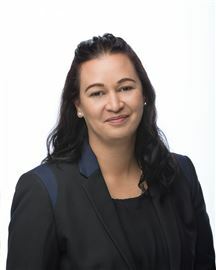 Cortnee joins the Holmwood Property Management team with a background predominantly in management and customer service. Having worked in a financial capacity in her recent role means Cortnee has plenty of experience with in depth financial transactions and managing client accounts. This being such a key part of her role with Holmwood, ensuring our clients statements and property transactions are accurate each and every time is something she prides herself on. Corntee’s bubbly and friendly manner means our clients always have a pleasant experience when requiring her assistance or calling in to see us, she is super keen to ensure everyone is left with a smile on their face after interacting with her. Cortnee simply goes the extra mile, she believes in providing a friendly and pleasant experience and that good old fashioned service counts, not to mention her passion for property and all things property management. Contact Cortnee today for more information about our full property management service. Service you deserve from someone you can trust. Heather joins the Holmwood Property Management team after many years in the hospitality industry and growing a family business. Fresh faced and driven to exceed her clients’ expectations, Heather prides herself on building and maintaining strong relationships with her valued clients. Naturally bubbly, outgoing and down to earth are characteristics anyone who does business with Heather can expect. Being a property investor herself, means Heather can easily identify with her clients’ needs. 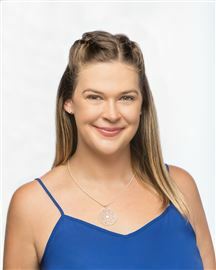 It is this, coupled with her passion for Real Estate which makes Heather an obvious choice to assist clients’ with maximising returns on their investments. For the service you deserve, from someone you can trust, contact Heather today for more information on how she can help grow your rental property portfolio!